Recently I asked a group of entrepreneurs which topic they most wanted to learn about. The #2 choice was about creating procedures, so I put together a few things to help! 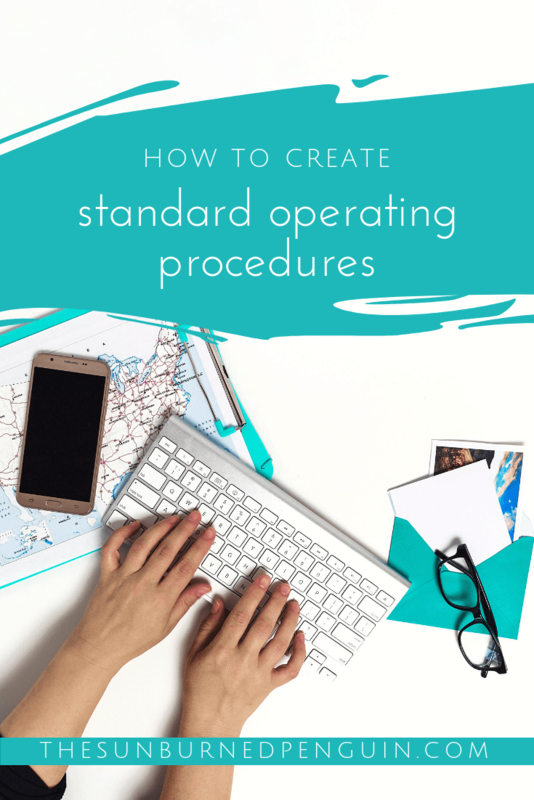 So let’s talk about why you need SOPs, how to create them, and then I’ll give you access to my FREE template so you can create your own. All set? Ok! Outsourcing: One of the best reasons to create procedure documents is to prepare you to delegate or outsource some of the business tasks on your plate. You want the VA or team member to do things the same way each time, and you want them to do it your way. The best way to make this happen is to have the document all created in advance so they just have to follow directions. Emergency/Succession: Another reason to create procedure documents is to allow your business to continue running if something suddenly happens to you. Whether you are in the hospital for a few days, or you decide to retire early or sell the business, having documents in place for everything to keep running smoothly with or without your personal presence will make the trying time more manageable. Efficiency: Finally, let’s talk about how creating procedure documents will help you to be more efficient. By taking an extra 5 minutes to document your process, you’ll be able to quickly and easily duplicate the steps yourself each time you want to perform that task. Each time you do, you’ll find new ways to streamline the process and you can update your document. This is especially useful for tasks you do not perform daily or even weekly. For those processes that are performed monthly, quarterly, or annually, a procedure document should be mandatory or you’ll be reinventing the wheel each time. Okay, so now that I’ve convinced you to create documents, how do you go about it? Glad you asked! If you have questions, I’m happy to answer them! Feel free to comment here, or ask in my Facebook Group, The Unexpected Entrepreneur. I’d love to help you fully document your business!